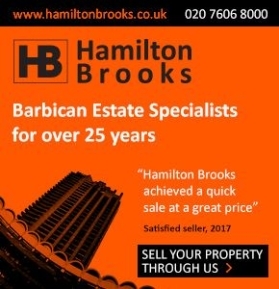 What gets the residents of the Barbican up in arms – or perhaps those of any other similar urban village? In one word – Encroachment. In the Barbican it is the constant sense of being in some kind of fishbowl as new office, and residential construction is built around us, sometimes interfering with long established pedestrian and road accesses, and occasionally with an adverse impact on light! But when the proposed change is actually within the complex, hackles rise, perhaps disproportionately. The latest such bête noire for Barbican residents is the proposal by the City of London School for Girls to almost triple the size of its preparatory school (ages 4 upwards) by expanding into a space currently utilised by the Thomas More House car park and also develop further to an area under Mountjoy House as part of this proposed new school element construction. Yes, the Barbican does have under-utilised car parks, but is this the best possible usage for them – and is an educational facility effectively devoid of natural light suitable for purpose anyway? Opposition from residents has been vehement – there are currently ten pages of comments on the proposal on the barbicantalk website bulletin board and none of them view the idea positively. We even have a satirical take on the proposal at the other end of this magazine from Mountjoy resident Kevin Kiernan in his Afterthoughts article! Young girls tend to create an inordinate amount of noise which, with the best will in the world, is virtually impossible to control. The exuberance of youth! We’ve all been there so perhaps there is a degree of NIMBYism involved here. And in this case the objections are rather more serious than the kinds we have seen with regard to most surrounding office and residential developments – with the possible exception of Milton Court and the Heron. But, the CLSG proposal does involve impacting on facilities and spaces, and peace and quiet, which are an integral part of the Barbican Estate’s residential ambience and amenities in a way the Milton Court redevelopment arguably never really was. In parallel our neighbouring residential complex to the north – the Golden Lane Estate – has itself been up in arms over the currently-under-way demolition of the former police section house accommodation that was Bernard Morgan House and the construction, in its place, of the Taylor-Wimpey Denizen apartment residential development. From a Barbican point of view this actually has little, if any, adverse impact given the Denizen is to the north of the Estate (and thus not a threat to light) – and the fact that it largely comprises luxury apartments may actually enhance Barbican valuations rather than detract from them. But for a section of Golden Lane residents, particularly those who live in Bowater House immediately to the north of the Denizen, it did have a serious light interference impact. Now should we in the Barbican have taken up arms also in support of our GLE neighbours in a sense of solidarity and likewise should they oppose the Girls School proposals even though they have no direct impact? Self interest will probably reign! In retrospect, given recent history with City of London rulings the chances of the GLE objections changing the decision on the Denizen are slight and indeed the Estate has withdrawn its court appeal to have the decision reversed as being likely too costly. However the CLSG proposals are much more vulnerable IMHO.